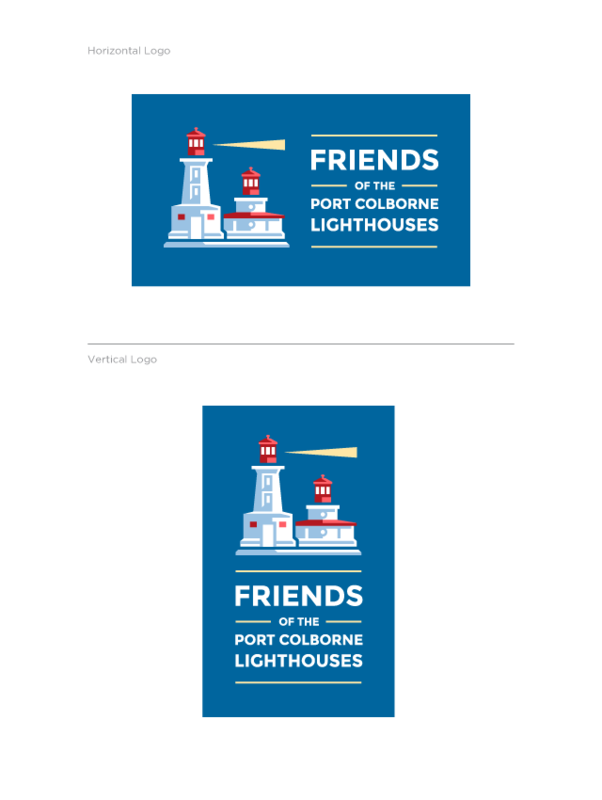 Friends of the Port Colborne Lighthouses is a group of dedicated individuals founded as part of a lighthouse revitalization project that is currently underway in Port Colborne, Ontario. The new visual identity was designed with a nautical theme in mind and replicates the stoic presence of both lighthouses. The two-mark system is a great approach for marketing and promotional materials.